An early “Bonus Drawing” will occur the first Tuesday after EVERY 250 raffle tickets are sold! 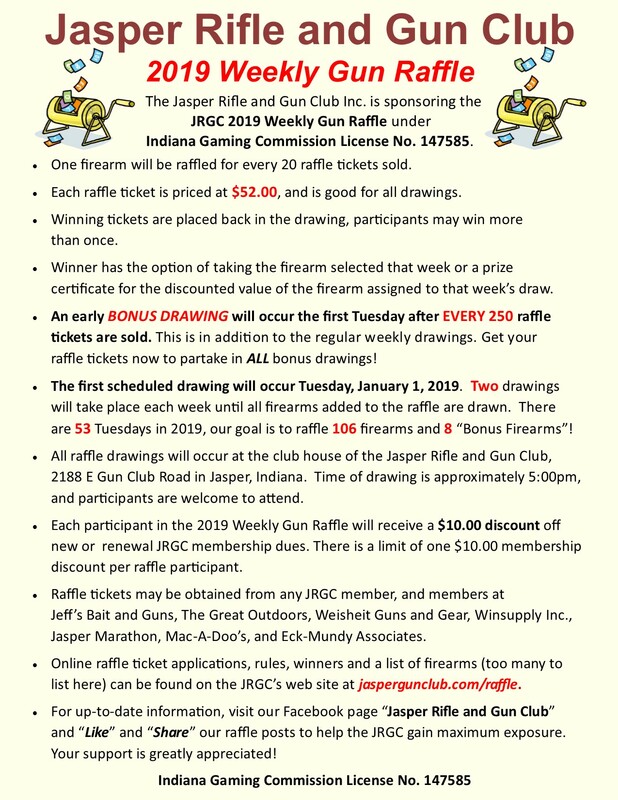 Bonus Firearm Drawing #4 of the 2018 JRGC 104-Gun Weekly Raffle occurred January 9, 2018 at the clubhouse of the Jasper Rifle and Gun Club located at 2188 E Gun Club Road in Jasper. Congratulations to Timothy R. of Jasper, Indiana who won a Smith and Wesson M&P15 Sport II Rifle from Weisheit Guns and Gear in Jasper. Ticket number 5449. Bonus Firearm Drawing #3 of the 2018 JRGC 104-Gun Weekly Raffle occurred December 12, 2017 at the clubhouse of the Jasper Rifle and Gun Club located at 2188 E Gun Club Road in Jasper. Congratulations to Tom E. of Tell City, Indiana who won a Heckler & Koch P30LS 9mm Pistol from The Great Outdoors in Jasper. Ticket Number 4808. Bonus Firearm Drawing #2 of the 2018 JRGC 104-Gun Weekly Raffle occurred October 3, 2017 at the clubhouse of the Jasper Rifle and Gun Club located at 2188 E Gun Club Road in Jasper. Congratulations to Tim L. of Washington, Indiana who won a Remington Model 1100 Classic Trap Shotgun from Jeff’s Bait and Guns in Jasper. Ticket Number 3899. Bonus Firearm Drawing #1 of the 2018 JRGC 104-Gun Weekly Raffle occurred August 8, 2017 at the clubhouse of the Jasper Rifle and Gun Club located at 2188 E Gun Club Road in Jasper. Congratulations to Kurt H. of Jasper, Indiana who won a Browning BL22 Lever Action .22 Rifle from Weisheit Guns and Gear in Jasper. Ticket Number 1415. Raffle tickets can be purchased from any JRGC member, Jeff’s Bait and Guns, The Great Outdoors, Weisheit Guns and Gear, Jasper Marathon, Winsupply Inc., Mac-A-Doo’s, and Eck-Mundy Associates. Online Raffle Entry Applications can be downloaded from our web site at www.jaspergunclub.com/raffle. 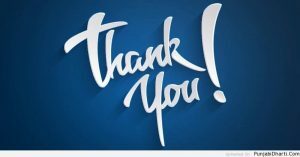 Thanks to all participants for your support and good luck in the weekly drawings. 2018 JRGC104-Gun Weekly Raffle Bonus Firearm Winners and the list of firearms to be raffled can be found here: Link to 2018 Weekly Raffle Winners.